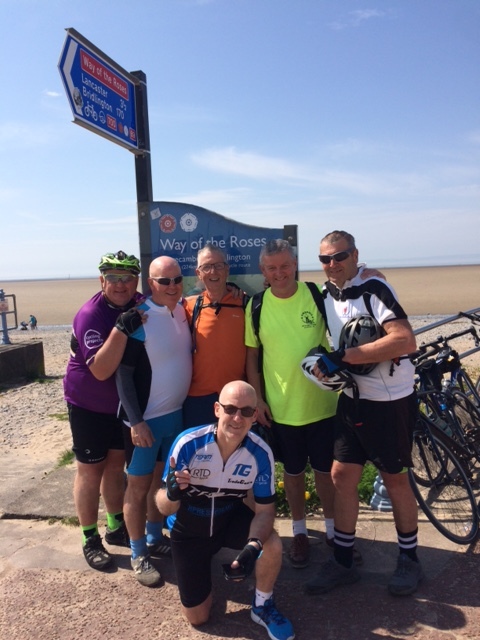 Back in May 2018, Vinny set off on one of his bike challenges to raise funds for us – this year going from Bridlington to Morecambe. The whole challenge was a total distance of about 180 miles and took him 3 days to complete. He found it extremely hard, and it took him a couple of weeks to recover, but the thought of providing more funds to screen young people definitely spurred him on. He raised £300 from his challenge and, together with money donated at the football club’s annual presentation evening, managed to raise a grand total of £1250! What an achievement! He wanted to say a big thank you himself to the Rosebery Group, Unilever Contractors and Rainhill United for their support. We are holding a FREE heart screening in the Rainhill area in March this year, so keep an eye on our website for details of how you can book in!